KAMPALA – Information from President’s office has indicated that telecom giants MTN Uganda is in negotiations to sale shares to local investors. This was after President Yoweri Museveni insisted telecom firms including MTN Uganda need to list shares on the local stock exchange to facilitate domestic ownership of the companies. The President also thinks this will ensure more of the money foreign companies earn stays in the country. The statement from the president’s office quoted MTN Group’s President and CEO Rob Shuter as saying the firm was in negotiations with a state-controlled National Social Security Fund (NSSF) for a possible sale of shares to the fund. 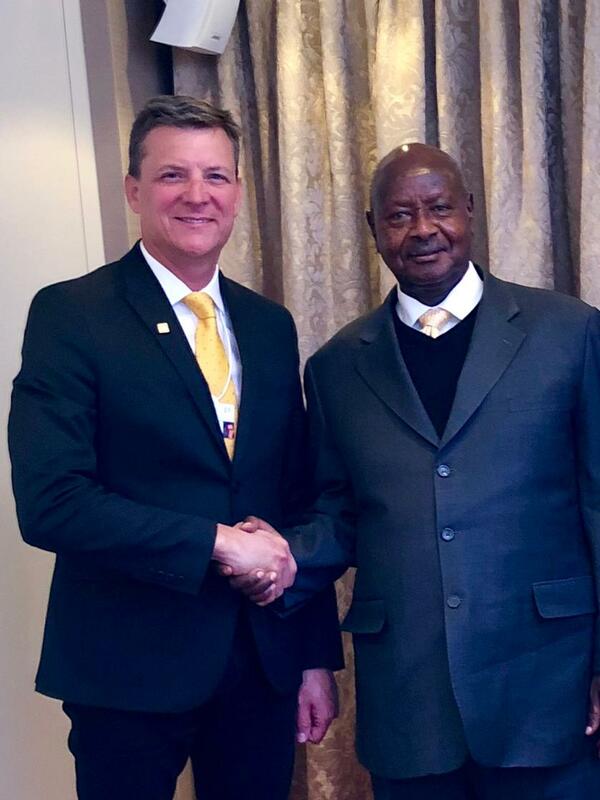 Early this week Museveni met Shuter on the sidelines of the World Economic Forum in Davos where he insisted the company should float share on local stock exchange. “It is important that you float shares on the local stock exchange to allow for local ownership,” Museveni was quoted as telling Shuter, according to a statement from his office. Museveni accused some unnamed telecoms companies of dodging taxes by under-declaring the volume of calls and that his government had bought machines that helped detect such activity. Museveni also said telecommunication firms in Africa, which are often foreign owned, repatriate profits back home to the detriment of local economies. “You should foresee these trade deficits. More locally owned companies should be allowed to earn money so that most of it remains here,” he said. We could not independently verify the reports as MTN Uganda did not respond to an emailed request for comment. MTN has since remained tight-lipped on the matter but confirmed their boss met with Museveni. MTN Uganda, is the country’s largest telecommunications firm, controlling a subscriber base of more than 10 million. However, relations between MTN Uganda and authorities have become strained after the government early this week deported three of its executives after accusations they were compromising national security. MTN is in negotiations with Ugandan authorities for a ten-year extension of its operating license after it expired in October last year but there has been disagreements over the amount of licence fees to be paid.